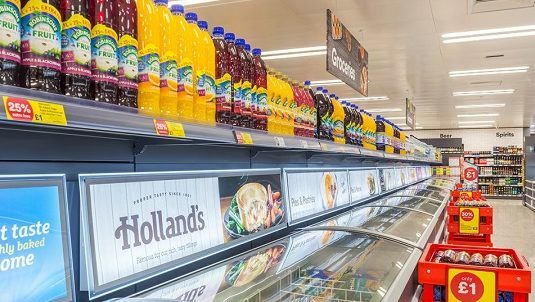 Ian Schofield, Own Label and Packaging Manager for Iceland, explains how the retail giant will eliminate plastic packaging in its own-label foods and the part paper could play in its replacement. In January, UK supermarket Iceland made an announcement that was covered in every national newspaper and news outlet in the country. The retailer vowed to eliminate all plastic packaging from its own-brand products by 2023 to help end the “scourge” of plastic pollution. 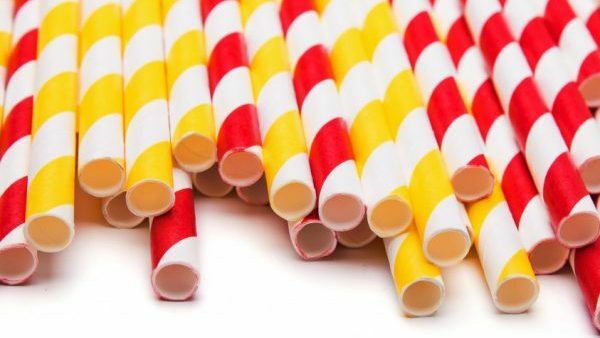 Having already removed plastic straws and introducing paper-based trays with its new food ranges, Iceland is leading the way in trying to reduce the amount of plastics that end up in the world’s oceans. We spoke to Ian Schofield, Iceland’s Own Label and Packaging Manager, about the bold move and how he plans to put it into action. What reaction have you had about the announcement? I would say that we’ve had 98% positive reaction across the board – that’s the media, the industry, our customers, everything. On the morning of the announcement, I had an interview at the BBC, and the lady on reception said, ‘Thank God someone is doing something.’ The person that took me upstairs, the person that did my make-up, they both said, ‘Thank God someone is doing something.’ It was a relief for people to know that something is being done about plastic packaging. What’s the scale of the task of replacing all own-brand plastic packaging at Iceland? It’s won’t be easy. Iceland frozen food accounts for 30% of total sales, with chilled and grocery accounting for just over 30% each. Now, 90% of everything we sell in frozen foods is Iceland own-label. So all our vegetables, all our chicken nuggets, all our products are in plastic bags. Even the fish – the very thing that’s killing them, the polythene and other contaminants, is wrapped around the fish. So the scale of it is that, in total, 1,400 products need to be changed. Currently, we haven’t got all the barriers and the functionality there to change them all overnight. However, we’re confident that we’re well and truly on the journey to achieving that. At the moment we have a number of packaging companies lined up to pitch us their ideas in the next two weeks. Some are paper-based solutions, but some are plastic companies with alternatives to plastics. It’s really good that everyone’s got on it because they see how important the issue is. What part will paper and card play in getting rid of plastic packaging? It’s obviously one of the things we’re looking at using. 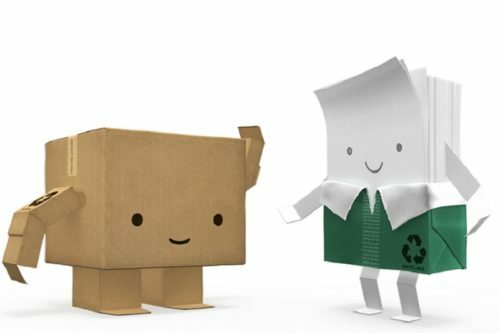 Many of our packaging suppliers are investigating how we can use paper in a different way, or how we could coat or impregnate it to make sure it had more characteristics to help support our move. Let me tell you what the best scenario would be: if paper was clear and could withstand the five-foot drop of a chicken nugget as it comes down a chute in the manufacturing process, then we’d use it tomorrow. No one’s got the complete picture yet but we’ll get it. 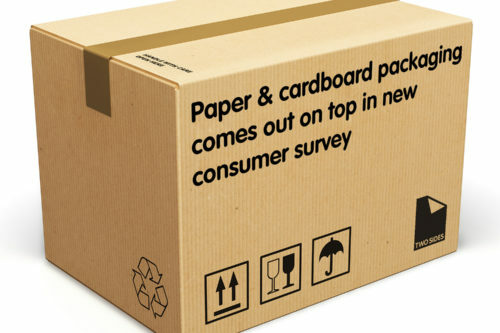 What are the advantages of paper packaging for Iceland? We’ve already moved back to pulp trays on natural materials on chilled foods such as grapes, and it’s actually given them a better shelf life. Another interesting thing about paper is that in the microwave, it cooks the food quicker than a black plastic tray. So when you start rethinking and re-engineering your packaging around your products, there are some surprises that come along. What other new developments in packaging are you interested in? When you’re developing new food ideas and launching new products all the time, you’re always looking for new ways to cook something, new ways to present the food to the customer. Those new ways include intelligent packaging, which tells you the best before date, and temperature indicators to make sure the food stays fresh. We’re looking very hard at ready meals – 30% of all frozen ready meals sold in the UK are sold by Iceland – and materials other than plastic that can do the same job. There’s also the possibility of going back to decanting, taking a small section of a large amount of food and using a ceramic dish to cook it in. But the key thing for us is reducing the massive amount of tonnage of plastics that’s currently going through the waste stream. At Iceland, we’re only 2% of the market, but that represents 30,000 tonnes of material a year that we are going to reduce. That’s a massive step in the right direction.